SNOW HILL – Maryland Army National Guard General Janeen Birckhead visited her alma mater last week to share insight on leadership with local teenagers. 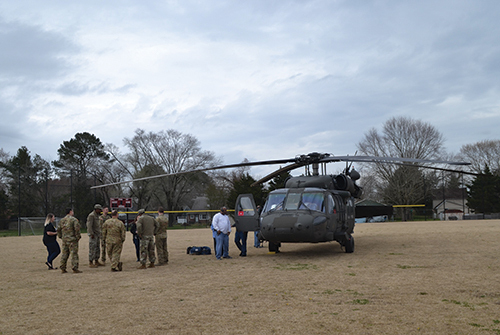 Eyes were on the sky Friday as a Blackhawk helicopter carrying Birckhead and seven other National Guard members landed on the baseball field behind Snow Hill High School. Birckhead, who is a graduate of the school, visited to talk to students about leadership and the qualities associated with it. Kimberly Purvis, principal of Snow Hill High School, said Birckhead’s visit was a chance for the school community to celebrate one of its former grads as well as an opportunity for students to hear from someone who’d been successful in achieving their goals. 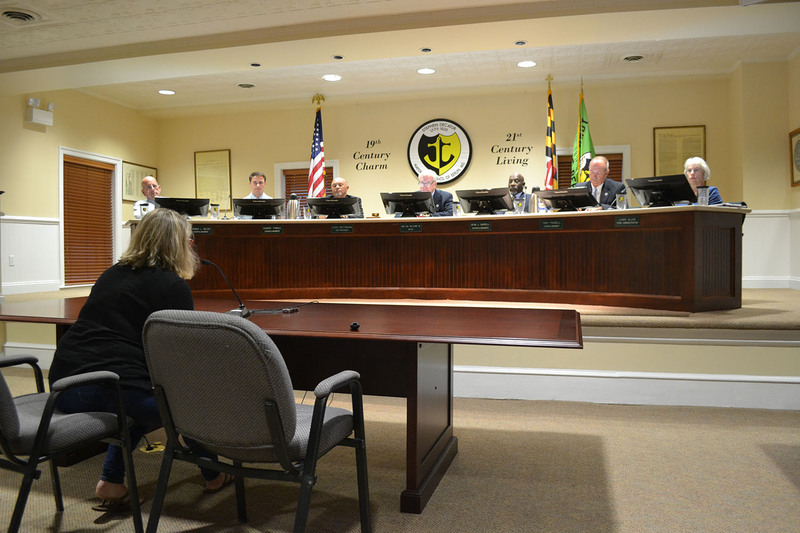 “She’s here to talk about leadership and making good choices,” Purvis said. 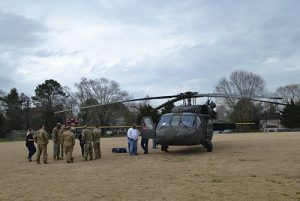 Birckhead, whose children are students at Snow Hill High, was greeted by friends and family members as well as school representatives as she exited the helicopter Friday. She visited several classrooms to address students regarding the importance of qualities like respect, honor, integrity and personal courage. Respect, she pointed out, was being impacted by the growing use of social media. Birckhead, who described being a female general as being “the 1% of the 1%,” also encouraged students to provide selfless service. She described the way she’d recently helped an elderly traveler during a cross-country flight. She also talked about honor and personal courage, reminding students that while those were internal qualities they nonetheless played into leadership. She urged students to be deliberate and to begin planning for their futures. 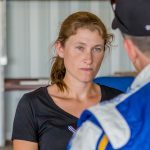 Birckhead said she was happy to return to her hometown and offer support to local kids.